While the iPad’s built in apps are an impressive if incomplete start, the real strength of the iPad will be it’s app store. Like the iPhone has already proved, having a vast catalog of easily available and mostly cheap software is a huge selling point. Currently the available iPad apps are a bit frustrating due to the amount of excellent iPhone titles just begging for a bigger screen but not yet available. Here are some of the titles that have impressed so far. 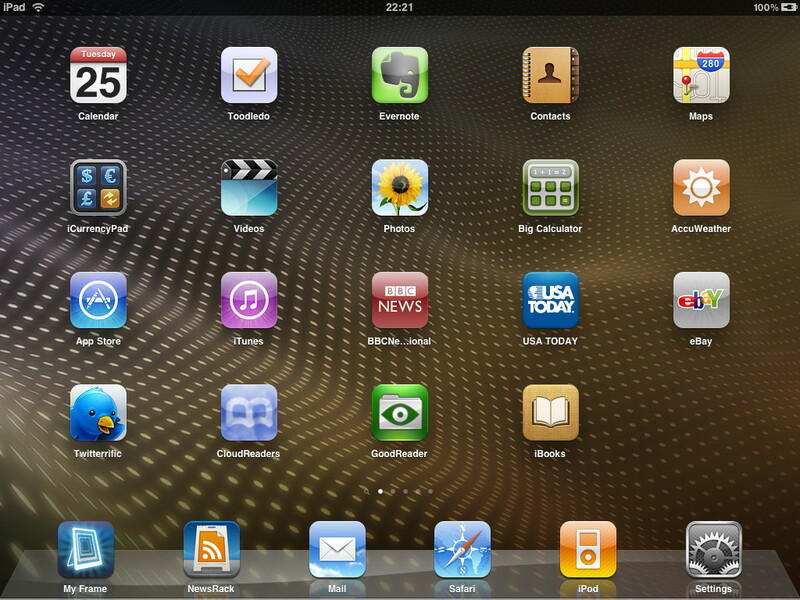 The iPad really comes alive when you start using the touchscreen and interacting with the OS and applications. The most common layout in landscape mode is the left third of the screen showing a list of some sort while the middle and right thirds show the selected document or view. 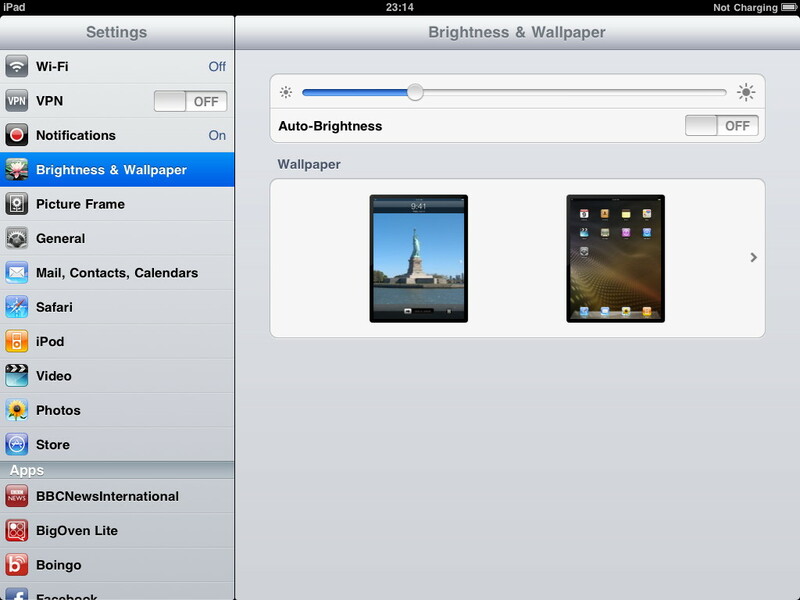 The Settings app below shows this, with the list of setting groups on the left and the options on the right. A couple of software updates recently have reminded me just how good the Macintosh user interface can be. Functionality is good, but a swish interface really makes an app stand out. First up is AppZapper, now at version 2. Version one was great for un-installing applications with it’s simple ‘drag an app onto the window and hit the button’ approach. The neat part was that AppZapper would also hunt out preference files and other associated junk (see above). The big improvement in version 2 is the Hit List (below). This shows all the Applications, Widgets, Preference Panes or Plugins on the machine for simple removal, even sorted by date, size or usage. No more hunting around the Library folder to bin that unwanted add-on. 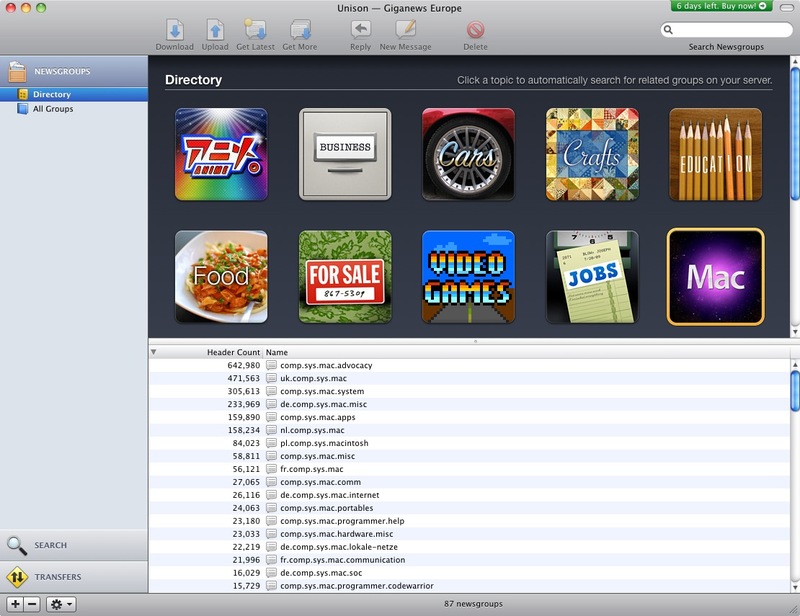 There’s also the new ‘My Apps’ to store license and serial information on purchased apps. Quite a lot of new features means AppZapper is well on the way to becoming an outstanding Application management package. The second app is Version 2 of Panic’s Unison. Again, version one was a highly competent usenet client but version 2 sees all the windows integrated into one. There’s now built-in UnPAR/UnRAR/Join and recovery sets are only downloaded if needed. No need to fire up a web browser as search site’s can now be set up within Unison (and three are included to start you off). For anyone frequenting Usenet this looks like a great time saver. The screenshot below shows some of the default groups offered. The bonus programs expire over the next few days so the bundle goes against previous form by getting smaller as time passes, rather than adding software as sales targets are reached. There are no killer apps in this one and it doesn’t offer the same amount of saving as some of the previous Mac Heist or MacUpdate bundles. The second bundle is MacBundleBox, offering 12 apps for $49. Standouts for me are Freeway Express, iCash and Stomp. 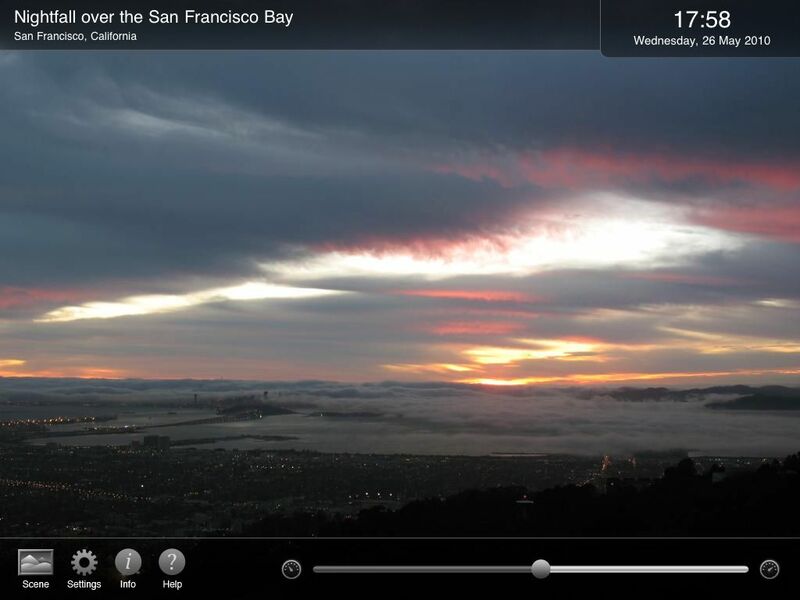 The last is a video convertor that looks like it could fill the shoes of the much missed Visualhub. Several of the included apps sell for $60+ so there’s some fine savings here. The final package is TheMacSale, with 10 strong apps for $49.99. Standouts for me are Flux, a WYSIWYG web editor with strong CSS support, Iris for photoshop style image editing, and the personnal version of REALbasic for writing software. I’ve passed on TheMacBundles and bought TheMacSale package. I’m tempted by MacBundleBox so will probably end up buying that as well. The real benefit of these software packages is that after buying them for the past few years I have an app for most things you could want to do with a Mac. Parallels 4 ($79.99): Run Windows, Linux, and more alongside your Mac. Circus Ponies Notebook 3 ($49.95): Organize your tasks, and collate you ideas, clippings, photos, and more. DVDRemaster Pro 5 ($44.99): Backup your DVDs and put them on other Apple devices. Multiplex ($35): Browse and watch your entire DVD collection from your Mac with a gorgeous interface. RipIt ($18.99): Copy DVDs to your hard drive with one-click and create region-free, encryption-free backups. MoneyWell ($49.99): Manage your personal finances. Paperless ($44.95): Digital document manager. Posterino ($24.95): Create attractive posters, stylish postcards, photo frames, greeting cards and more. 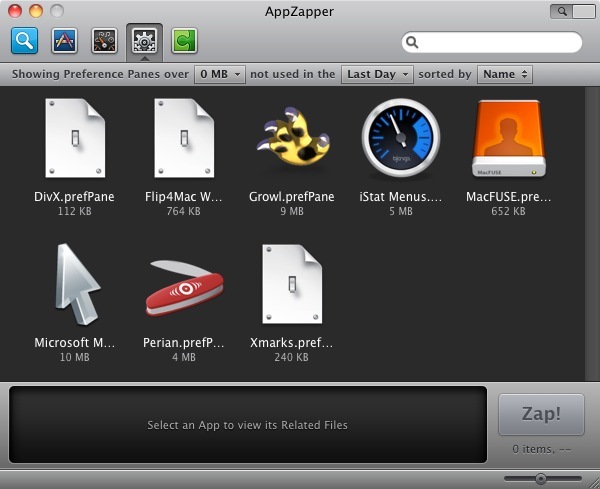 BetterZip ($24.95): Take Mac OS X’s built-in .zip compression tool to the next level. Extract only the files you want, create and encrypt archives, split large files, and more!